The delicious final product! Read on to see why these chocolatey bad boys are actually good for you! I’m back in the saddle and ready to start sharing my kitchen love and nutrition knowledge with all of you once again. It’s been a hectic couple of months getting the office up and running, working at the health food store, and getting my business accouterments all organized and ready to go. Fortunately things are settling down a wee bit and I’m so excited to be back in the blogging world. 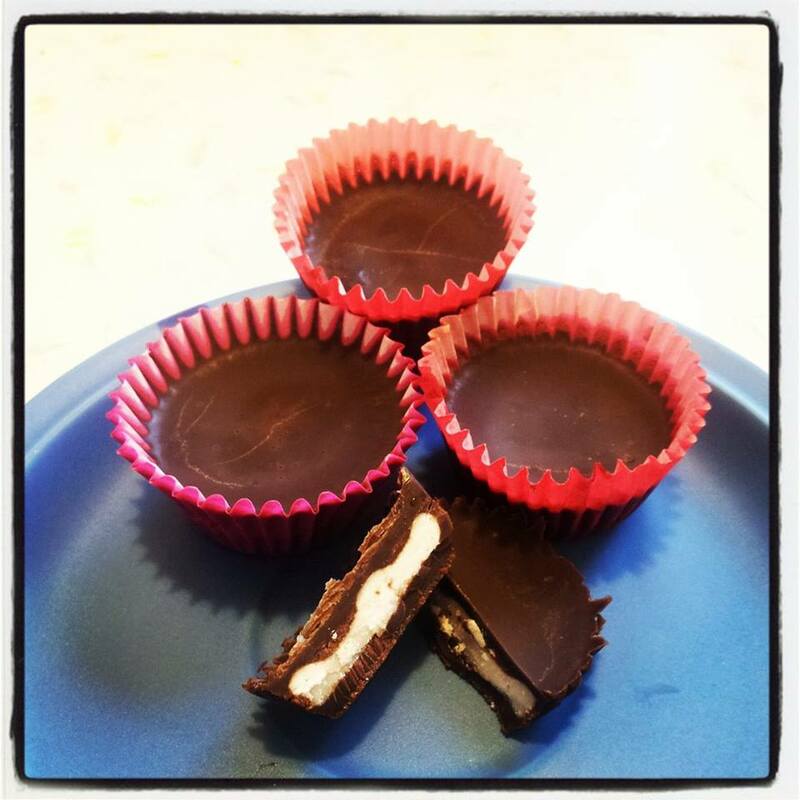 As promised a few days ago, today I’m going to share my delicious and super simple recipe for homemade Hormone Balancing Chocolate Coconut Butter Cups. They’re a little bit like bite-sized pieces of healthy crack (yes I resisted the urge to make a lame joke about Rob Ford, but it was hard!). First off, I want to clear up one thing. Chocolate and/or cocoa in and of themselves are not bad for you. Highly refined, sugar-laden, gas station chocolate bars are bad for you. They often contain very little cocoa, tons of sugar, and various stabilizers and fats that can be harmful to the body. So when in doubt make your own or go for bars with as few ingredients and as little sugar as possible. Anyhoo, over the last couple weeks I’ve been seeing all these recipes for different sorts of healthy Halloween candy and decided I’d look in my cupboards to see what I had to make my own yummy treats and thus this recipe was born! And devoured in a day. But that’s neither here nor there. The first recipe I tested I used some coconut oil combined with the coconut butter and while this combo was delicious, it made the chocolates a little melty and difficult to handle. If you’re planning on making them bite-sized and serving them in little cups, it’s not a huge deal, but if you’re using chocolate molds or want them left out at room temp for extended periods of time I would go with the straight cocoa butter. The delicious basis for our healthy chocolates. Bonus tip: Rub it on the skin during pregnancy to prevent stretch marks! This fat actually comes packaged with cocoa in a pod before getting separated and sold as separate items (am I the only one who finds this slightly mind boggling?). 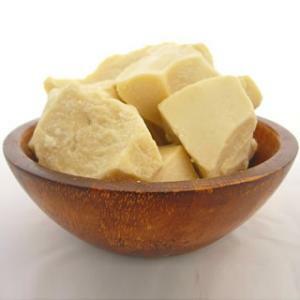 Cocoa butter contains saturated fat, mostly in the form of stearic and palmitic acid, which is necessary for building cell walls and providing the body with energy. Far from being the evil cause of heart disease, a meta-analysis (read the abstract here) conducted on 21 studies that looked at the connection between saturated fat and heart disease showed that it had no causative roll in the development of CHD, CVD, or stroke. A far more likely culprit of these issues is chronic inflammation, which is associated with diets high in refined carbohydrates, inflammatory fats and oils (such as hydrogenated and trans fats, vegetable oils, and rancid polyunsaturated fats), and high levels of poorly managed stress. Phew… tangent over! Back to the health benefits. Cocoa butter also contains the monounsaturated fat, oleic acid, which is often found in olive oil and has actually been shown to have cardioprotective benefits! Finally, it is high in a compound called cocoa mass polyphenol (CMP), which from what I’ve gleaned from various studies and articles is an antioxidant that is protective against the formation of various cancer cells and again can help prevent CVD. This action is likely linked to its regulating effect on T-cells (an important part of your immune system) and can help lessen symptoms of immune-modulated body imbalances such as fibromyalgia, psoriasis, and chronic fatigue syndrome. As a bonus, this delicious, fragrant fat is also great as a moisturizer thanks to vitamins C and E and helps prevent stretch marks during pregnancy when applied to daily to the skin. Much like it’s cocoa butter counterpart, the powder part of the cocoa bean also contains the CMPs that are so protective to our bodies! It’s also a fantastic source of magnesium, a mineral that acts as a muscle relaxant (amongst many other incredibly important functions), which explains why some women crave it so intensely before and during their menses. 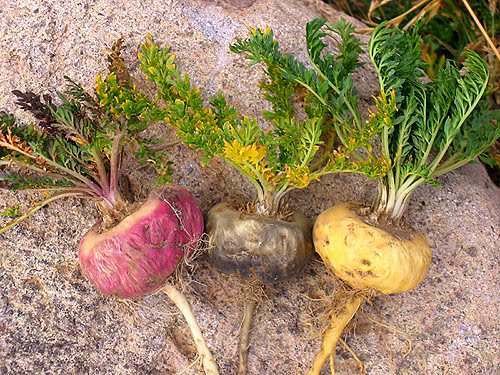 Maca may be one of the sexiest root vegetables out there. It’s grown in Peru and is known for its adaptogenic (helping the body adapt to stressors and remain in balance) effect on the endocrine system. Specifically, maca is great for balancing men’s and women’s hormones and boosting the libido in the process 😉 It works by nourishing the endocrine system and helping it to produce the proper amounts of hormones for your body so that you can be as happy and healthy as possible. This slightly sweet, delicious plant, which is often sold in powdered form, has numerous other health benefits thanks to its great fatty acid and nutrient profile. This fruit is one of my all round kitchen staples. From the milk, to the oil, to the delightfully creamy butter, coconut contains medium chain triglycerides, which are a type of fat preferentially burned by the body, so they won’t be stored on your booty. Everybody wins! Coconut also has antimicrobial properties thanks to its saturated fat content. Adding healthy fats to your foods also increases nutrient availability and absorption, specifically of the fat soluble vitamins A, D, E, & K. Like fibre, healthy fats also help decrease the glycemic index of certain sweet foods, limiting their impact on blood sugar levels ensuring a steady flow of energy without the dreaded afternoon crash and burn. Now I’m not talking your run-of-the-mill honey that is likely packaged in a plastic bear bottle. I’m talking the good stuff. The stuff you get from farmer’s markets, health food stores, independent co-ops, or straight from the source. Some of the bigger name grocery stores are also starting to carry raw honey (also referred to as unpasteurized), so it is becoming much easier to find. This delicious sweetener actually has some pretty fantastic health benefits thanks to the various enzymes and minerals it contains. Honey has antimicrobial, antiviral, and antifungal effects in the body and it has antioxidant properties that help strengthen your immune system. • Sea salt to taste. 1. Create a double boiler by taking a metal bowl and placing it over a saucepan of water so that the bottom of the bowl does not touch the water in the pot and there is a rough seal between them. 2. Place on oven at a med-high heat so that the water beneath the bowl starts to boil. Once it is rolling, you can turn it down to a simmering temp. 3. Shave cocoa butter into small chunks and place into bowl. 4. 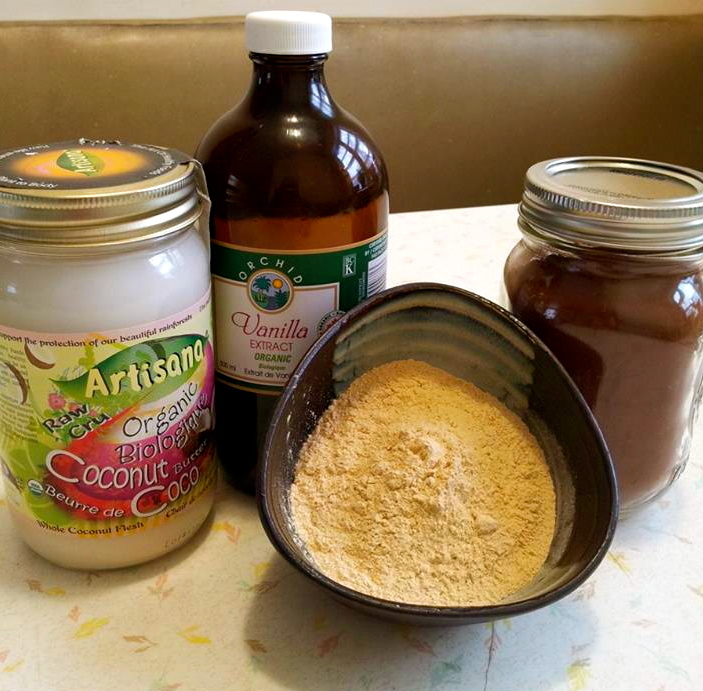 Stir until melted then add cocoa powder, maca, vanilla, and honey and whisk together until smooth. 5. Once all ingredients are incorporated remove bowl from heat. 6. Pour a little less than half the chocolate into the bottom of a mini muffin cup then place in fridge for about 10 minutes or until hardened. 7. Once chocolate is fairy firm take a small spoon and begin dropping ~ 1 tsp. of coconut butter into each cup. 8. When finished pour the remaining chocolate over the top of the coconut butter, sprinkle with salt, and place in fridge to set. Maca comes in three different varieties that all have slightly different actions on the body. As you can see it looks like a turnip and a beet made sweet, sweet love and produced this healthy offspring. So there you have it folks! A relatively simple, delicious, hormone-balancing, nutrient rich treat in which you can indulge sans guilt 😉 You can also feel free to add different flavours to your chocolate such as ginger, cayenne, cinnamon, and so on! Get creative and have some fun. If you can’t get your hands on the maca, these treats are just as delicious, if less hormone balancing, without it. That’s all for today. I’m off to the office to work with some wonderful new clients. Have a wonderfully whimsical weekend and happy eating!